1) What is your best preparation tip for solo female travelers? Get a good guide book, read lots of blogs and just realize that there are so many people out there who are travelling on their own. Once you know this, you can feel a lot more comfortable about taking the first step and striking up conversations with other people who may also be on their own. 2) How did you break the news to your loved ones? What thoughts did they have on YOU traveling alone in Asia? 3) Which countries in Southeast Asia do you consider as the ideal destination for females who are traveling alone? And why? I think most of the countries in Southeast Asia are perfect for solo females. I loved Vietnam and met many other solo travellers there. 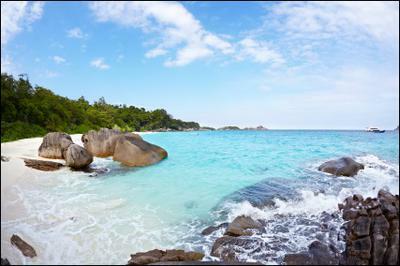 Also, Thailand is a popular backpacker destination, so you will have no shortage of new friends there. Cambodia and Laos are also cheap and full of wonderful sights and hostels. 4) What is your funniest memory from your solo trip(s) in Asia? Singing karaoke in a small booth in Vietnam with some new friends and a couple of locals. Some of the songs weren't even in English, but we all had a great time and laughed so much it hurt. 5) Which border crossing in Asia was the best and worst? And why? I haven't actually done any border crossings in Asia as my route has never taken me to countries next to each other, so I've tended to fly. 6) How was your first meeting with the culture in SE Asia? Any good memories/stories? I was introduced to the culture in SE Asia fairly quickly by having to walk out into crazy motorbike traffic in Vietnam. It was a scary experience, but also exciting and new. That, and the high humidity. Don't expect to have perfectly styled hair when you're in Asia! I would say the islands in Thailand, Angkor Wat and Halong Bay in Vietnam. 8) Did you wear make-up while you were traveling? Yes and no. I do travel with a small amount of makeup to use if I go out for a nice dinner or to a bar in the evening, but it is usually far too hot to wear it during the day. Also, I tend to find that once you get a tan, you don't feel the need to wear makeup as much. Having said that, concealer is a Godsend if you have small bites or spots and a little amount of mascara and lip balm goes a long way. 9) What do you consider to be backpacking essentials? Compression bags to help keep my clothes separated and to utilize as much space in my backpack as possible, a bottle/can opener and a waterproof bag for your electronics during the downpours! a) Just make sure you have something to keep you entertained (a book, Kindle or iPod) and layers - the temperatures can vary greatly from hot to cold on buses and trains! b) I eat alone at home too every now and then so this doesn't bother me. Just make sure to eat somewhere that is popular with locals, that way you know the food must be good. c) Many people go sightseeing on their own and sometimes it is best because you don't feel rushed and can take photos at your own pace. Don't feel afraid to ask someone to take a photo of you so that you are in some of your photos when you get home! You can read more about Julia Evans and her travels on Homeless and Confused.